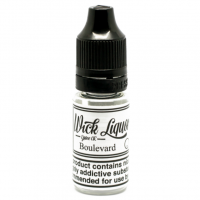 This premium 200ml unicorn bottle carries 150ml of your chosen Wick Liquor flavour, allowing you to easily add 3 x 10ml 18mg bottles of NICOFUEL, giving a vigorous shake, to then achieve 180ml of 3mg e liquid. Aspire UK is the leading manufacturer and distributor of E-Cigs, E-liquid, Clearomizers, Tanks, Coils and Vape Kits. Home of the Aspire Nautilus X, Aspire Cleito and Aspire Plato.